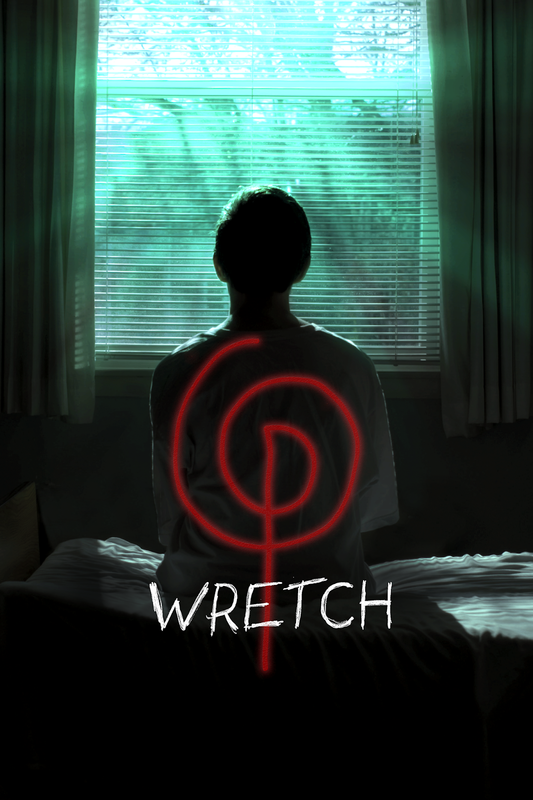 Wretch plays with the found footage genre by switching from found footage to traditional filming and by placing some events out of order and changing the point of view of who is behind the camera. Caleb and Abby are in a somewhat dysfunctional relationship, their friend Riker is essentially their third wheel but he brings the substances and is this triangle's enabler, so they let him hang around. Riker is clearly in love or is infatuated with Abby, whilst Caleb who claims to love Abby is in reality, a cheating jerk. After these three take a drug fuelled trip to the woods, Abby starts seeing a monster. Soon it begins to impact on all their lives, is there something haunting them? Is it a supernatural possession? Mental illness? What do the sudden appearance of the symbols mean? Hill, Korcza and Massie are all good in their roles, each one of them really gets into their roles and as the three main pivots in the story they help bring you into the film, in a natural way, only once or twice do things get too over-wrought or overly dramatic. The film's soundtrack is really effective too. The way the film switches from found footage to cinematic and then time jumps back and forth really serves the film well as the group tries to work out just what happened on that night in the woods before it is too late. The scares are on the low-key side of things, as the film slowly builds towards its denouement. Brian Cunningham has created an intriguing story that makes you want to stay with the film through to the end with themes of guilt, self worth and our own personal demons woven into the story. A low budget feature that uses everything at its disposal to tell it's story. There is a lot to like about Wretch. On Digital and OnDemand on January 29 via ThoughtFly Films.